Occasionally we see some enjoyable titles disappear from Nintendo's download stores, often retro titles and likely the result of a licensing issue. We're a little surprised by the latest victims, however, which are set to disappear from the European 3DS eShop after 31st December. 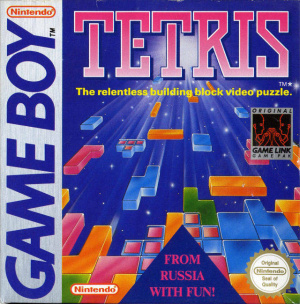 Following that date the store will lose the Game Boy Virtual Console version of Tetris, in addition to the 2011 retail game of the same name — known as Tetris Axis in North America. The Game Boy title has been available since late 2011, while the retail entry arrived in stores that year but only on the eShop in June 2013; no reasoning is given in the eShop notification, simply that the games won't be available to buy after New Year's Eve. As has always been the case, if you already own or buy these games before that date you will be able to re-download as normal in the future. 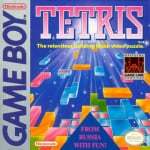 At the time of writing no equivalent notification is in the North American eShop, and it's unclear whether this is related to the recent arrival of Ubisoft's Tetris Ultimate; we're surprised by the pending removal of the Game Boy version, in particular, as it's such an iconic title in Nintendo's portable history. Will you be snapping these up before they disappear at the end of the year? I'm so glad they're giving warning of this. I'll be downloading the GB version. +1 That game takes me right back to school, when I used to link up with friends for a bit of multi-player Tetris action. Sigh such sweet memories. Yup, it's finally the time to download GB Tetris. Tha't pretty much the ultimate version of this game for me. Wowzers! I ain't letting the game of my childhood gameboy slip away. I played this for so many hours, it was ridiculous. Thanks for the heads up, NL! The GB version shall be downloaded today. @Beechbone Yup, I think you've hit the nail on the head there. The original Tetris was always the best version even in it's true monochrome glory, I've never played another Tetris (clone) game that quite matches it. Tetris DS is also a fantastic version. Those two are all I need. Thanks for the heads up, I have spread the word of this on my channels. Sad that this happens as licences expire. The GameBoy version is still my favourite Tetris. I'm sure it has to do with licensing and such. Konami/Hudson Soft worked on Axis, and now Ubisoft is releasing Ultimate. Strange choice.I wouldn't be surprised if it was to do with Ubisoft.They're not going to want the original and best version on the the console when they're trying to punt a retail version. IMO, Tetris 3DS/Axis is vastly underrated. I've read a preview of Tetris Ultimate, and I don't see what it has over Axis. Having played Tetris since the GameBoy original, I'm now just lukewarm on the series. Been there; done that. But Axis really revived me, even more so than Tetris DS. W H Y ? ? ? ! Downloading the GB version as we speak! The Tetris Company probably only grants permission for certain lengths of time. We already saw Tetris Party Live DSiWare get removed a while back. Even Tetris DS Nintendo was only able to print so many copies of. The Axis is better, than the Ultimate, and I just bought it for multiplayer, and this means the that the player amount will decrease. At least you could have warned so I could have taken this into consideration. Unfortuate that this is happening, I loved Tetris Axis. I hope the Axis team can make a Tetris game again in the future, no matter if it's on Wii U or a future generation Nintendo platform. I'm also downloading the Game Boy version. Tetris Axis is a great game - though not as great as Tetris DS, I still really enjoyed it. And I'm glad people are downloading the GB version. I play that and I get taken right back to childhood and it's wonderful. I've been putting off getting the GB one for a while. Might as well pull the trigger. I love Axis. I mayyy get Ultimate, we'll see. The first Tetris game for 3DS is $13 in Australia while Ubisoft's revolutionary new take on the franchise is over double the price at $30. However, the first game retailed for $50 (and there was no way in hell I was paying that much for one of the simplest game designs in the business). Sure, it's a fine game and all, but it's worth $5 or less. Other companies actually put some effort into their games. The fact that a "Tetris Company" exists at all feels like an elaborate joke. There are currently at least 6 Tetris games that are playable on the 3DS. Let that one sink in. 6 bloody versions of Tetris. The original Tetris for Gameboy is my favorite in the series. Glad I still have my Gameboy and the game in my collection. After christmas the player base starts shrinking. If the GB version had multiplayer support i'd get it. That's rather sad, hopefully it wouldn't happen here but I got them all besides the new one anyways, even the DSi ware Tetris game. It's just Putin and his crazy antics of the day. Sad to see them go, but I would imagine it's a licensing issue. Ubi-Soft holds the rights to the franchise and doesn't want to compete with other versions on the eShop. Kind of like the sublime Tetris DS: despite selling two million copies, the franchise license changed hands from Nintendo to Hudson and suddenly the game was out of print. I want Puyo Puyo Tetris. There was another Sega Tetris Japan only compilation for the PS2 that looks really good as well. I won't be getting the Ubisoft one. (I may get Axis). The original Tetris is great, but there's a few things missing that bug me. Not being able to press up to instantly drop your block is annoying. Kind of like playing Sonic 1 and remembering there's no Spin Dash - not game breaking but annoying. It's a shame to see Axis go because it's fantastic. I definitely will NOT be supporting Ubisoft's efforts, especially if they're the reason we're losing the better versions. @Moon You do know that you can have your block go faster down by holding down right? Is it only in Europe? Doesn't affect me too much, you play one Tetris game, you basically play all of them. I could always buy the real Game Boy version for no more than a dollar elsewhere, a great value compare to how it ever was on the VC anyways. I'm heartbroken that UbiSoft owns Tetris now. That's as bad as Microsoft owning Minecraft. Or worse yet, Disney owning Star Wars. Ugh! @JoeysGirl It's not permanent, but I still agree. @JoeysGirl Not as bad as what Hollywood will do to it. Prepare for Tetris: The Movie soon. @retro_player_22 That would not surprise me at all! I will be downloading the gameboy version, damn u bisoft! While I have no interest in downloading either (I still have my original gb cartridge). I am glad that they are giving a warning that they won't be available, I would like a reason but at least people can download them with a months notice. Could I make a suggestion and repost this news a few days before they get remove to just remind people encase they forget? Nice to see that NoE will be seeing a huge spike in the number of downloads to the original GB version. I'm on the boat that says without a doubt it is the best version anywhere. I bought the GB original, better I got it now than be disappointed due to it being unavailable. This situation is likely also why Europe got the NA version of "Breath of Fire". Sure, NA versions of retro games are generally the best due to 60Hz but Ubisoft is the publisher of the EU version.